A quick guide on how to produce clear and persuasive copywriting content for websites, papers, E-blasts, publications, and other marketing media. Clear and brand-specific copy can make all the difference in your digital media. 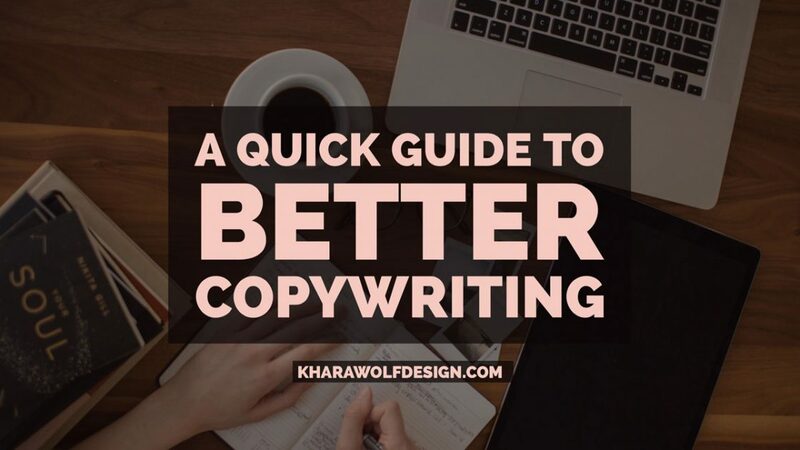 Although this is an extensive topic, I often work with clients on marketing verbiage and wanted to share my quick guide to better copywriting. It is important to know who you are writing for before you start to write. Research and document the demographics on who you are trying to reach. Think about information such as age, interests, social platforms they are on, etc. As yourself not what you can do for them, but what frustrations or questions are they seeking answers for. Once you have a better idea of what your audience is online searching for, you can write up key words and phrases they may be using. It can be helpful to use a tool such as http://keywordtool.io to research similar keywords and get a sense of search terms with different traffic numbers. You don’t need fancy words to sell your content. In general, hovering around a 6th grade reading level is ideal. To check what reading level you are at, paste your content into Microsoft Word. Then under “Spelling & Grammar” preferences, check “Show readability statistics”. When you complete the spelling and grammar it will give you your Flesh-Kincaid Grade level score. Determine the goal of your digital media or content before you start. This will help you develop a clear road map to your CTA, or call to action. This is where you want your audience to end up. Are you enticing them to buy a product? Sign up for your email list? Click on a learn more button? If it is your intent to drive traffic, make sure your CTA is clear and easy to find. The use of a visual aid (such as an image or video), depends entirely on where your content is going and what your goal is. If you content is on a platform where a visual will bring you more attention (such as a social media post on Facebook), make sure the visual is clean and professional. If you are using images in your email lists or website, be sure to consider what the image “says” and make sure it adds to your message and doesn’t distract from the content you spent time diligently crafting. Try things and keep track of conversion rates. This is an effective method you can use for all of your digital marketing efforts on your email lists, website, and social media ads. Try using different wording for your copy and get to know what your audience responds too. Your voice is part of your brand. As you write copy for your digital media, be sure to create some consistency in your story.